In 1879, Eu Yan Sang worked to ease the suffering of tin mine coolies in Gopeng, Perak, Malaysia; they were suffering from opium addiction and he sought to aid them through TCM remedies, beginning the brand’s long heritage of “caring for mankind”. Since then, the company has been carrying on its founder’s vision by empowering people to live their best possible quality of life through accessible holistic healthcare. Here in Singapore, where its first clinic opened in 2001, the brand operates more than 20 clinics with three different concepts: Eu Yan Sang TCM Clinic, which serves patients in the heartlands, caters to a wide variety of acute and chronic conditions; Eu Yan Sang TCM Wellness Clinic, which focuses on wellbeing— including sub-health, skin, weight management, pain management, and travel health—for busy executives; and EuYan Sang Premier TCM Centre, which is helmed by highly experienced physicians, and deals with more complex and chronic health conditions. TCM wisdom advises a balanced diet, emotional regulation, and exercise for optimal health. Already recognised regionally for its high-quality medications and standards of care, Eu Yan Sang is today building a new name for itself by trailblazing an innovative middle ground approach to healthcare—marrying technology with the art of traditional Chinese medicine. 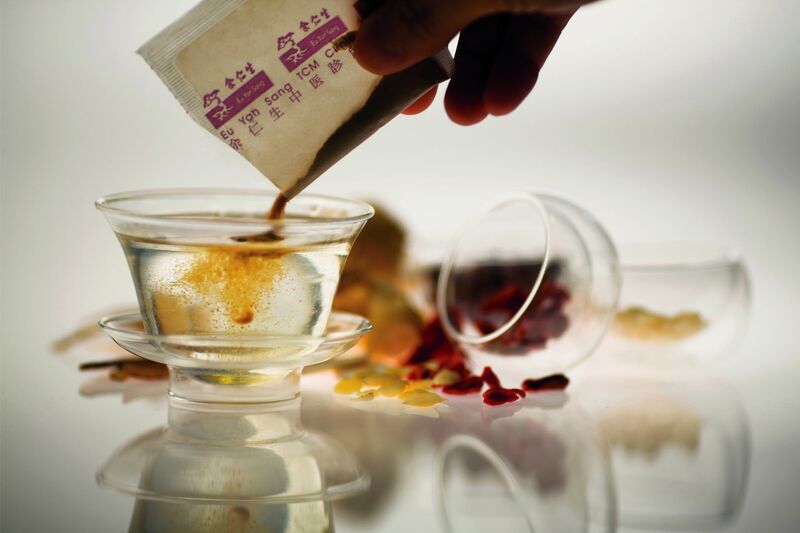 Its physicians are meticulously selected and obligated to undergo continuous training so as to more effectively share the wisdom of TCM with its discerning patients. In TCM, there is rarely a one-sizefits- all solution, even for those with the same condition, so prescriptions are given based on individuals’ different root causes and body constitutions. Additionally, since the phrase “health and wellness” no longer simply refers to a lack of illness and disease but a more holistic state of being where one’s physical, mental, and emotional health are in sync, TCM’s focus on balance and harmony among the body’s various systems is a perfect fit. One of Eu Yan Sang’s missions, coincidentally, is to reduce healthcare costs and societal burden on healthcare service providers by focusing on preventative care.